The Christ Church of Malacca is built in Dutch Colonial architecture style. Famous for being part of The Stadthuys, it's originally painted in white. 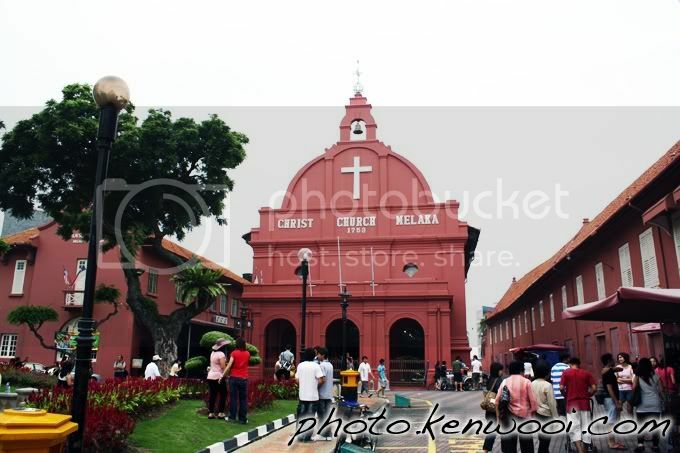 Later in 1911, the church and the neighbouring building was painted red and this distinctive colour has remained the hallmark of Malacca's Dutch-era buildings since. More details at A Trip to Malacca City on kenwooi.com. Love your shots..I'm in d midst of arrange my photos too..maybe you can visit my new blog and share comments..